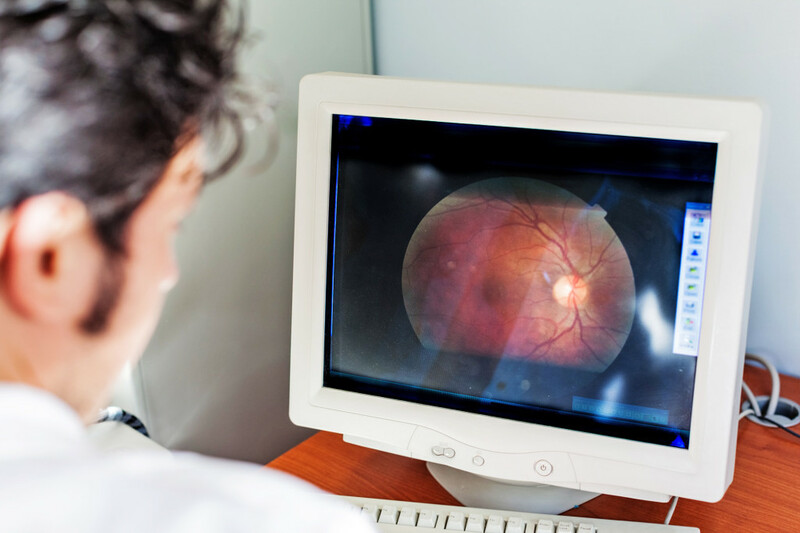 Optical coherence tomography (OCT) is a non-invasive imaging test that uses light waves to take cross-section pictures of your retina, the light-sensitive tissue lining the back of the eye. With OCT, each of the retina’s distinctive layers can be seen, allowing your optometrist to map and measure their thickness. These measurements help with early detection, diagnosis and treatment guidance for retinal diseases and conditions, including macular degeneration, glaucoma, diabetic eye disease, among others.